You are here: Home / Travel / Disney / Delivery Man Blu-Ray DVD Review: A Heartwarming Comedy of Self-Discovery. A father to 533 children? Yes, that’s what David Wozniak discovers when life hands him a huge surprise that pulls him away from his stagnant life. This movie was definitely one of those feel-good movies with a lot of heart, comedy and a strong message of the importance of family. My husband and I watched this together and we thought it was a great film. It is one of those movies that you may be unsure about but, until you watch it, you won’t know how great it is. What I enjoyed about this movie was the development of David’s character. There were many funny moments in the movie, like the one pictured above, where Brett (Chris Pratt) warns David to never have children. Boy, oh boy, did we laugh when he described what being a parent was like. What was hilariously awesome was when David, aka “Starbuck” actually took the files that his lawyer gave him and went to look for his children and how he began to start caring for them and becoming over-protective like only a dad would. Even though at the time his pregnant girlfriend had him on daddy probation, in the end, he shows that he has the right to be a dad. The evolution of David Wozniak is a beautiful one, though he isn’t perfect and he makes many mistakes, he truly is a good guy. He cares about others even though he may let them down, he always makes it right. 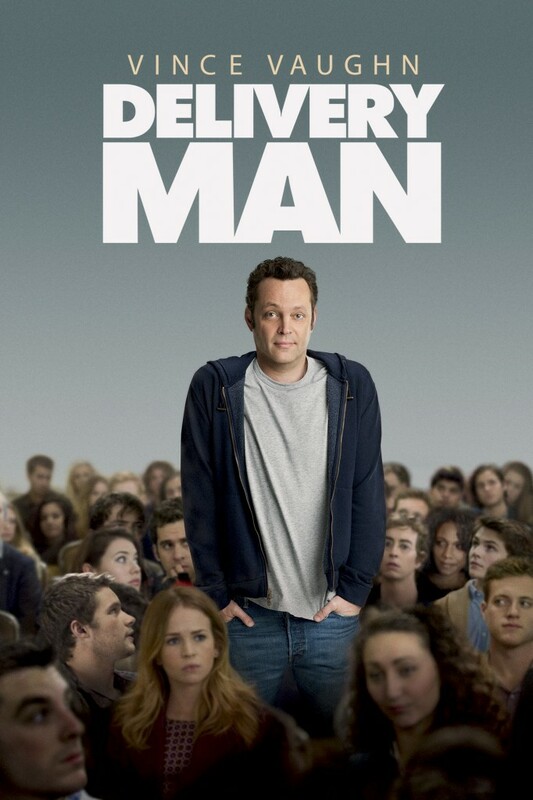 Delivery Man Blu-Ray DVD hits stores on March 25th and is in-stores NOW. Go get your copy, it is definitely one for the collection and of course, Vince Vaughn never disappoints. Have you watched Delivery Man yet? I really enjoy Vince Vaugh as an actor, he's funny but can really take it down and be real. I can't wait to watch this movie! It was refreshing to seem him in a more serious role, there were still hilarious parts. 🙂 Loved it. Loved this movie! What a great concept (Although I don't think it would really happen…makes you think twice about donating! lol). IT was nice to see Vince Vaughn play a more serious role. I enjoyed it immensely! I loved Vince, more serious but, still with humor. I saw this movie when it came out and loved it. Can't wait to get the DVD. The trailer for this is hilarious. It'll be fun to see Vince Vaughn in this role since he's a new dad, himself! So true, it was a great movie. 😀 I do love Vince. We LOVED this movie! My whole family enjoyed it! Makes you laugh and cry! I totally agree. I laughed and sniffled. I have not seen it yet. I have only heard great things about this movie so it is on the must watch list. It is a good one! Make sure to watch it, you will laugh and cry! I absolutely LOVED Delivery Man! Such a funny movie with such a deep message! It's a movie I could watch over and over! Me too, it was a great movie. 😀 Loved it. I missed this film at the theatre and have been curious about how it plays out because it sounds like a fun premise. Glad to hear you liked it. I will definitely check it out. I've heard about this movie but did not know what it was about. I am not the biggest fan of Vince Vaughan but it sounds like a movie my partner would love. I love Vince Vaughn! I'm definitely going to watch this. I haven't seen this yet but I do enjoy Vince Vaughn so I am going to check this out! Thanks for the review!